The good: In an act of aggressive tech convergence, Apple has consolidated your Netbook, e-reader, gaming device, photo frame, and iPod into an elegant, affordable supergadget. Features such as Bluetooth, 802.11n Wi-Fi, movie rentals, 10 hours of battery life, optional 3G wireless, and the most-celebrated App Store on the planet have us pretty worked up. The bad: The iPad's large size is as much a hindrance as it is an advantage. As a jack-of-all-trades and a master of few, the iPad can't entirely mimic many of the specialized products it seeks to replace. The iPad's limited multitasking capabilities and lack of integrated video camera, Flash support, and HD video output already have us pining for next year's model. The bottom line: The Apple iPad is the first affordable tablet computer worth owning, but it won't (yet) replace your laptop. 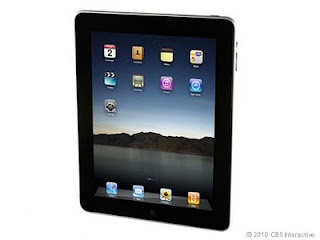 0 Response to " Review : Apple iPad (64GB) "